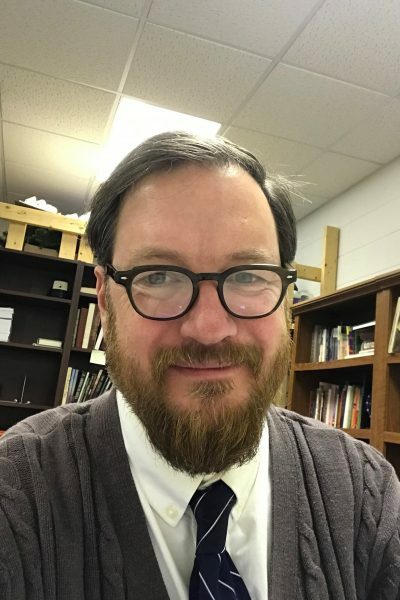 The vestry is delighted to announce that parishioner Dr. Christopher Graham has agreed to work full time at St. Paul’s from January through June 2019. Chris will organize and make available the extensive HRI research and draft a history of St. Paul’s in relation to race, slavery, and segregation. Working with the Director of Communications, he will develop content for our website and other social media platforms. In coordination with the Ministers of Outreach and Faith Formation, he will pursue ways to integrate HRI into other initiatives at St. Paul’s. Related to all the above, Chris will work with the History and Reconciliation Initiative to determine how to share their three years of work with the wider St. Paul’s community and beyond. They will explore ways to partner with other organizations engaged in similar work, and the possibility of establishing a Center for History and Reconciliation at St. Paul’s. He can be reached at cgraham@stpaulsrva.org. What would you like to tell Chris?